Teacher, Recording Artist, Blues Man, Veterans Advocate and Author Sarge Lintecum did three tours of duty in Vietnam, 1966-'67-'68. 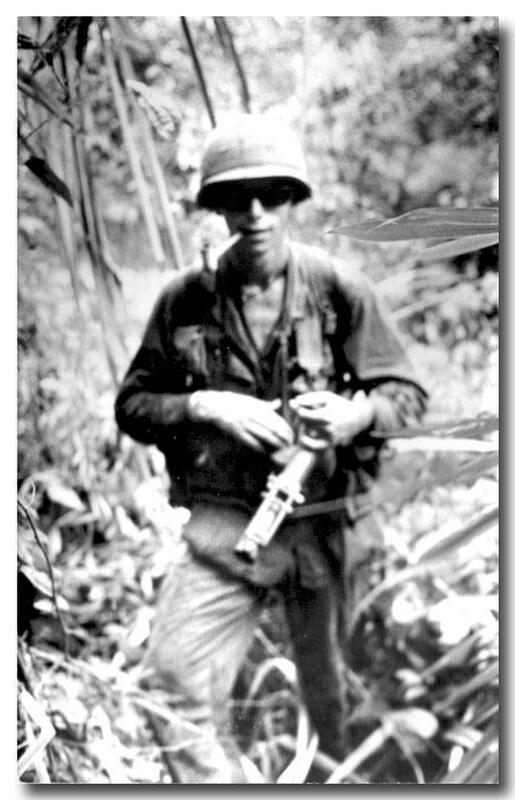 His first tour was 11 months in the jungle with the 101st Airborne Paratroopers as a Combat Infantryman. During that time, he advanced to Squad Leader. Sarge came down with malaria three times, jungle-rot, immersion-foot, two varieties of internal parasites, a shrapnel wound in his leg, exposure to Agent Orange and Post Traumatic Stress Disorder which says is the "Vietnam Blues". Sarge received the Purple Heart, the Conduct Medal, a Vietnam Service Medal with 1 Bronze Service Star and 1 Silver Service Star (to represent 3 tours of duty), Parachute Jump Wings, the Combat Infantryman Badge, the National Defense Service Medal, the Vietnam Campaign Medal, the Army Commendation Medal, a Valorous Unit Emblem, a Republic of Vietnam Gallantry Cross with Palm Unit Citation Badge and five Over-Seas Bars.